At Indeva, we understand that in addition to the usual high standards expected from our food handling solutions relating to reliability and quality, there are additional requirements to meet strict hygiene standards. Our manipulators can be designed and manufactured to fulfil these requirements, giving our customers peace of mind that the Indeva manipulators they have purchased will be fully compliant. 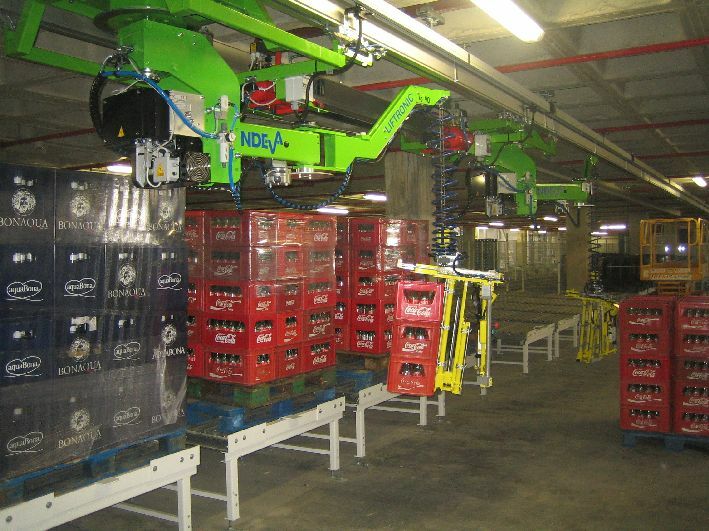 The following are examples of food and beverage industry handling solutions we have provided. The Liftronic Easy provides customers with an ergonomic handling system for beer kegs and barrels in logistic and warehouse environments. 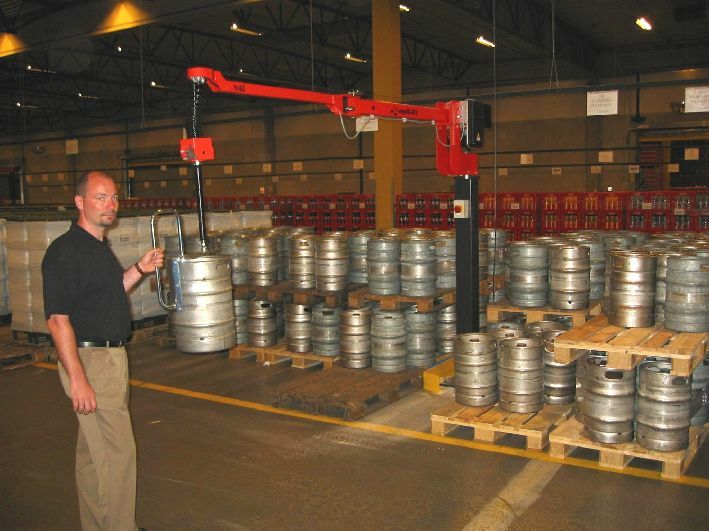 The operator can move heavy beer kegs and barrels with natural, intuitive and time effective movement. Very precise product positioning using electronic control, supplemented if necessary with pneumatic functions to provide, for example, inclination and rotation. Improved operator ergonomics – the key control is the touch sensitive handle, which can be of different lengths to suit a range of pick and place heights. This minimises the risk of over-reaching and bending. 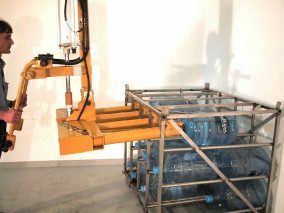 Handling wine bottles is possible using a manipulator complete with a purpose designed multi cup vacuum gripper capable of holding up to 30 or more bottles at the same time. Thanks to the INDEVA technology, glass bottles are handled gently and precisely, without any risk of impact. The suction cups are designed and placed to hold the bottles either on the base or the side. An auto centre of gravity feature ensures the end effector remains level whether with or without load. This function automatically adjusts for varying case weights. The moment the tool is armed, the auto balance feature activates so allowing different weights to be handled quickly and safely without operator intervention or changing settings. The Indeva Liftronic Easy model enables hard cheese blocks to be handled by means of a vacuum gripping tool applied to the standard tool head. A rotation device is then used for turning the cheese block by 90°. Soft cheese is handled by means of a simple stainless steel hook attached to the outer sack. An Indeva Liftronic Easy manipulator is ideal for this task. The manipulator can be equipped with a hook or special tool for handling whole ham joints. For further information from Indeva on food handling solutions or to discuss your requirements, click here to contact the team or call 01246 25 23 33.